Let me say this. Jeri Smith-Ready is made of awesome-sauce. She's funny, smart, not to mention freaking prolific. And I'm so happy to have her in The Fort! About Jeri: Jeri Smith-Ready’s most recent release is the short story “Thief” in the YA vampire anthology ETERNAL: MORE LOVE STORIES WITH BITE, edited by PC Cast. 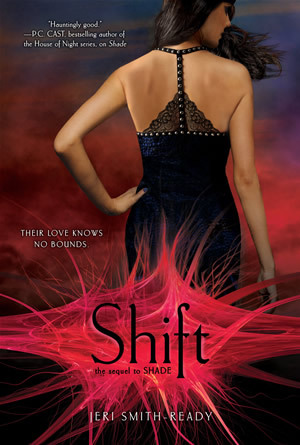 2011 will bring the second in her YA ghost series, SHIFT, and the fourth in her adult vampire series, LET IT BLEED. She loves to hear from readers, so please visit her at www.jerismithready.com, or better yet, on Facebook (www.facebook.com/jerismithready) or Twitter (@jsmithready), where she spends far too much time. Kraft Macaroni ‘n’ Cheese. Only the original, neon orange powder version will do. I eat it straight out of the pot, with a wooden spoon, while watching a so-bad-it’s-good movie. (I only do this when alone, obviously—no way I’m sharing my precious M&C pot with my husband! *snarl*) No leftovers, because the mac ‘n’ cheese mysteriously loses itsflavor when reheated. It’s this ethereal thing that must be loved and consumed in haste, or lost forever. So I eat the whole box at once. Not a problem. kneading my lap and purring. They are little fleece junkies. box of books so my cat doesn’t chew it (the box). Sorry, the answer is blue. Fluffy socks! My feet are always cold in the winter, so I go through them like crazy. to my attention at PO Box 66, Westminster, MD 21158. Hot cider. With a cinnamon stick. make up my own horrific ending. Truth. Because you can always make something up. Especially if you’re a writer. book about it. And then watch it again. Who's the ideal mascot for The Fort and why? and he could probably give us energy-saving tips to help us avoid global warming. Maybe he could even tell us if the spinning top ever fell at the end of INCEPTION. story would you ask them to tell? would be how she came back from the dead to visit the Fort. Right? YAY! Thanks for visiting, Jeri! 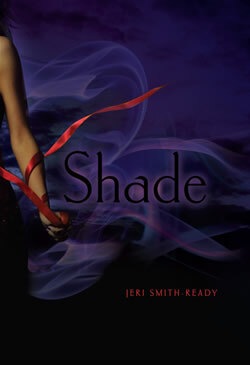 And to continue the awesome, Jeri will be giving away a signed copy of SHADE. You don't want to miss this one! A mac & cheese and football (I love the hitting too!) fan, how could I not love this lady? And a fan of Leonardo. Oh yes, I MUST read this woman's books! Thanks for having me at the Fort, Myra! 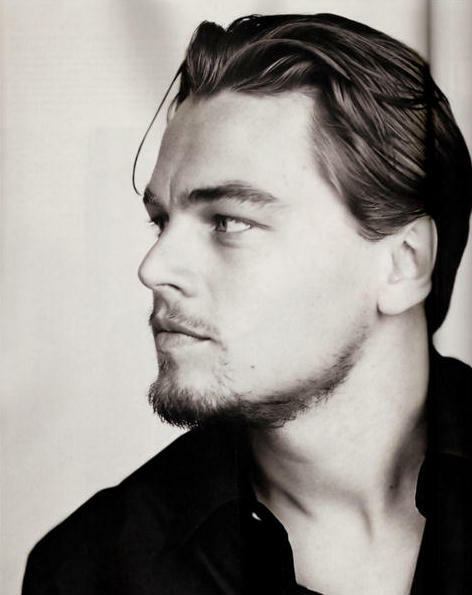 And thanks for that lovely, lovely, lovely photo of Leo. *stares* Ack, where's the time gone? I gotta run now and take my dog to swim therapy (don't laugh--okay, laugh). Aw, I love her! She'd be such a fun friend for a sleepover! Except we obviously couldn't have Mac&cheese cuz she wouldn't share. Love that she'd take truth so she could lie. Perfect. Super interview, Myra. Yours are so fun! Okay, now I am forced to google that "Johnny is on the first step" story. Not so much because I just HAVE to know how it ends...but because I feel a strong desire to pass the torch and torture my little ghost lover with it! (And she will roll her eyes at me at the end, and give me that look that reminds me of just how OLD I really am, OLD and LAME!) Ill make a pot of mac and cheese, she will forgive me! Can't wait to read the latest Jeri! I totally forgot about the liver, but yes, this is the correct version. I don't know why I thought Johnny actually killed someone.